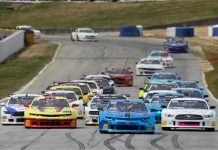 ALTON, Va. – Inclement weather played a role during the first two days of Hoosier Racing Tire SCCA Super Tour activity on the 18-turn, 3.27-mile road course at Virginia Int’l Raceway. 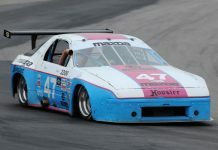 Practice and qualifying were conducted under wet conditions most of Friday at the event hosted by SCCA’s North Carolina Region before threatening storms brought an early end to the opening day. 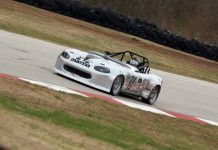 Early in the afternoon, the 70-car Spec Miata field also took to the track under wet conditions. Several competitors spun into the grass on the first lap, bringing out a full-course yellow. Polesitter Nicholas Bruni had the lead, followed by Brian Henderson and a whole host of skilled, proven drivers. But at the restart, Bruni pushed wide going into turn one and Henderson grabbed the lead. Meanwhile, drivers who perhaps didn’t have great qualifying sessions were making a charge to the front, including Danny Steyn who started in the 22nd position. With a handful of laps left in the race, Steyn had managed to close to within one second of the leader, but second place was all he could manage as Henderson claimed the wet win in his No. 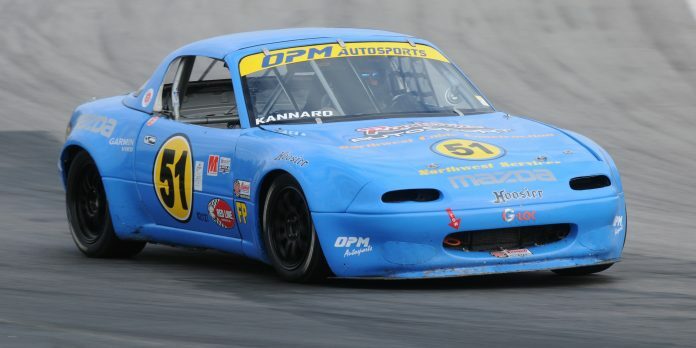 97 BDL Motorsports Mazda Miata. Below are provisional winners from Saturday’s Virginia Int’l Raceway Hoosier Super Tour event with Class: Name, Hometown, SCCA Region and Car.